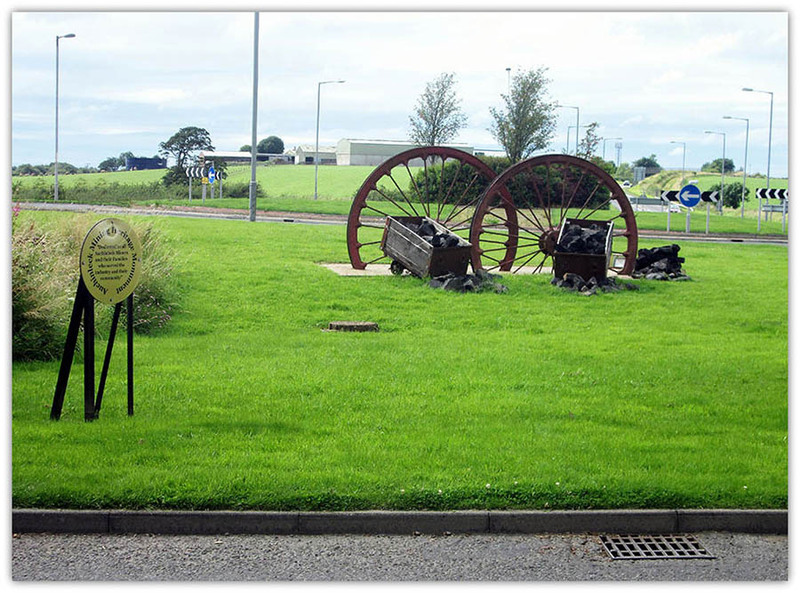 “Dedicated to all Auchinleck Miners and their Families who Served the Industry and their Community"
The above photo is from the Cumnock Chronicle. 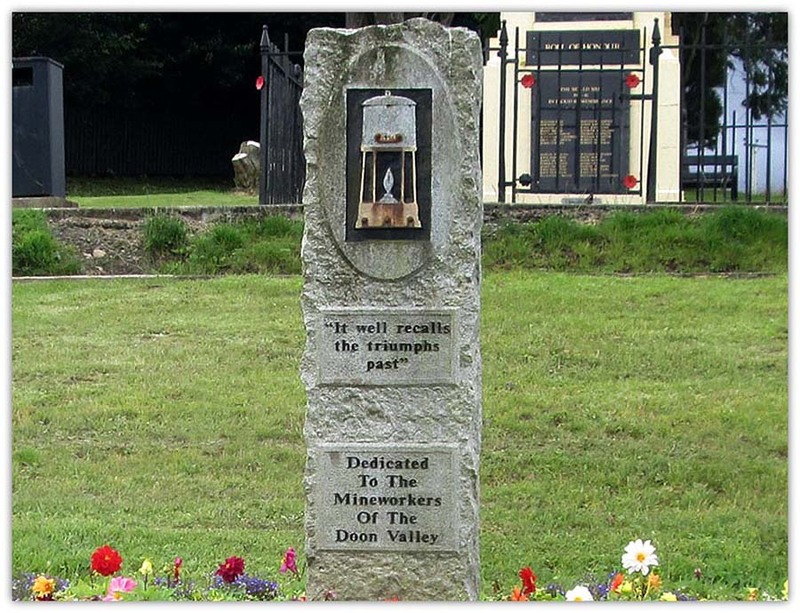 This is located at the site of the village. 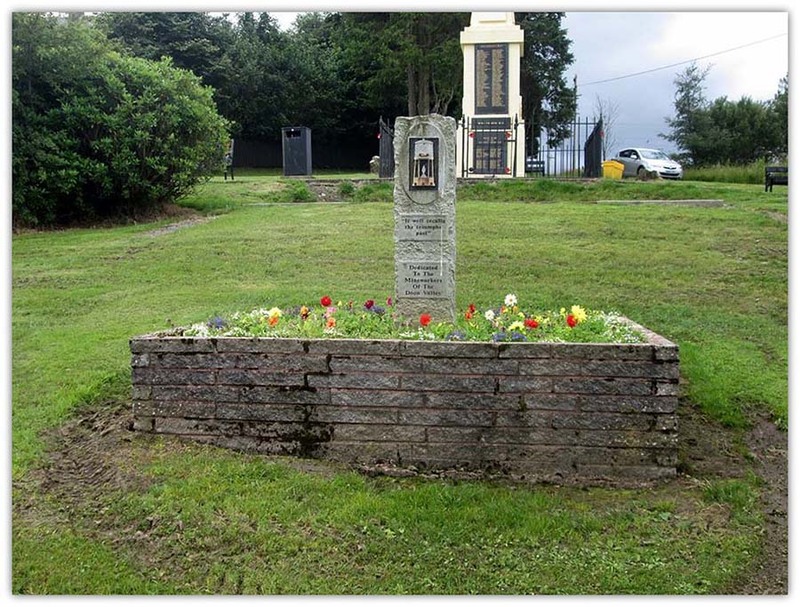 You can just see the War Memorial which is all that is left at the edge of Pud Rowan's left upper arm. 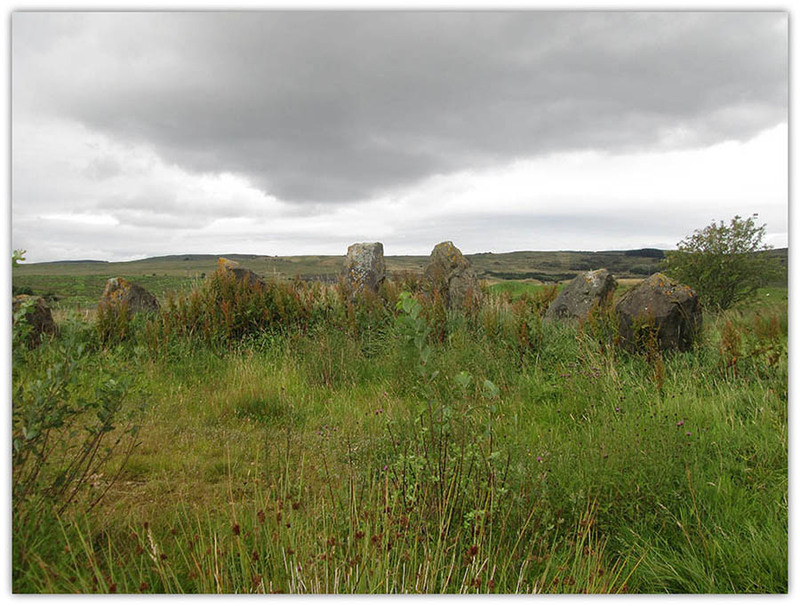 For over 6,000 years there have been settlements around the Loch Doon area, and particularly in the Doon Valley. 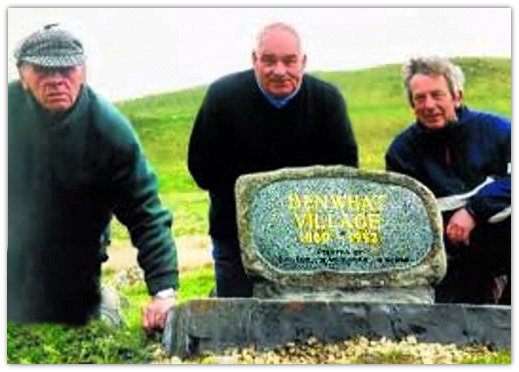 Time had already taken some of these settlements, and no doubt the future will take more. 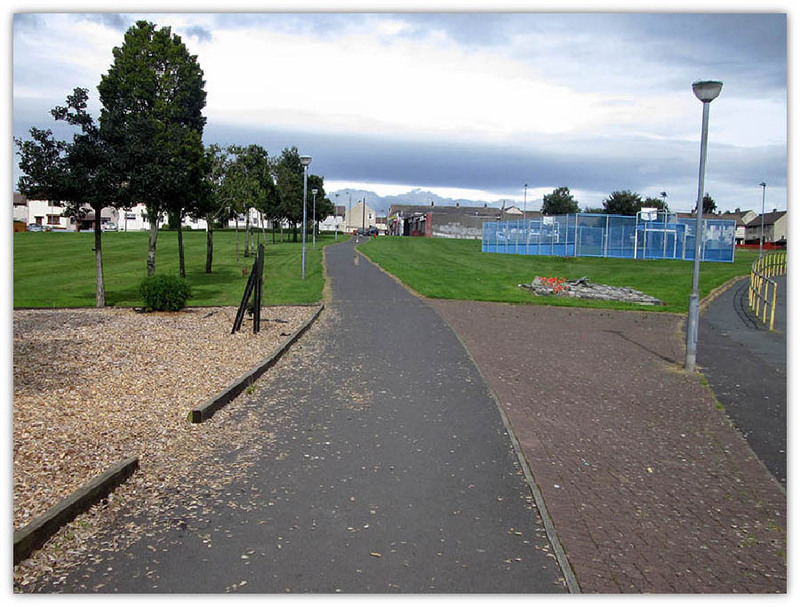 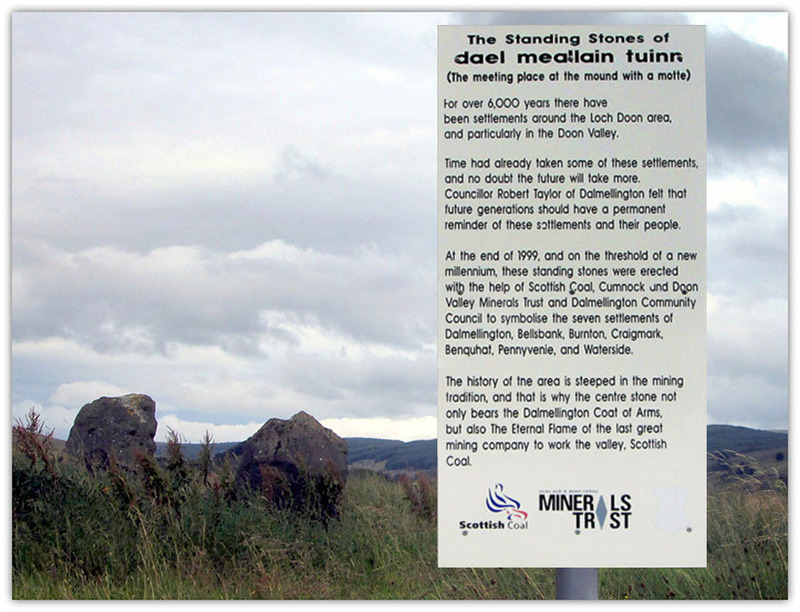 Councillor Robert Taylor of Dalmellington felt that future generations should have a permanent reminder of these settlements and their people. 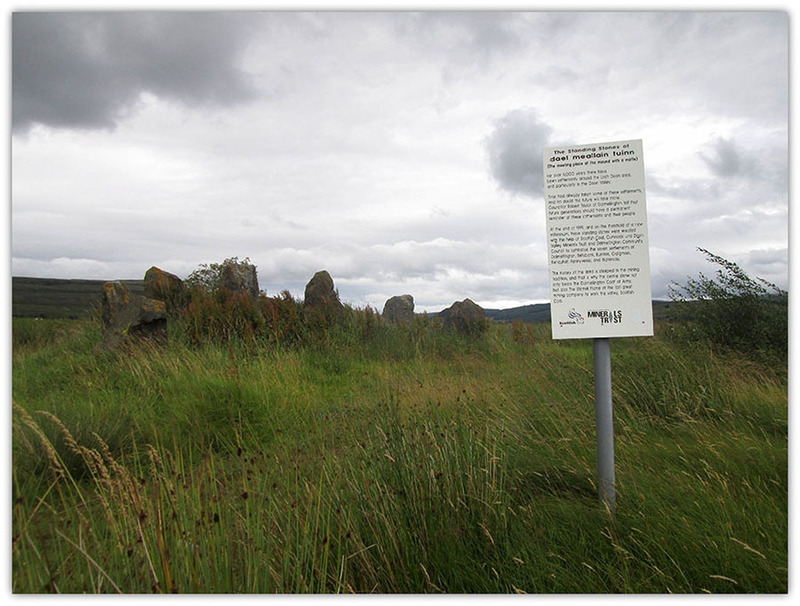 At the end of 1999, and on the threshold of a new millennium, these standing stones were erected with the help of Scottish Coal, Cumnock and Doon Valley Minerals Trust and Dalmellington Community Council to symbolise the seven settlements of Dalmellington, Bellsbank, Burnton, Craigmark, Benquhat, Pennyvenie, and Waterside. 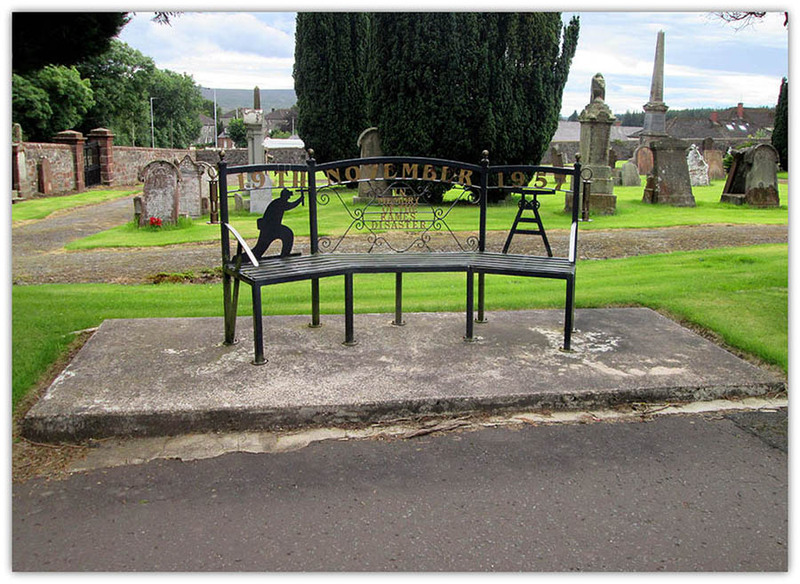 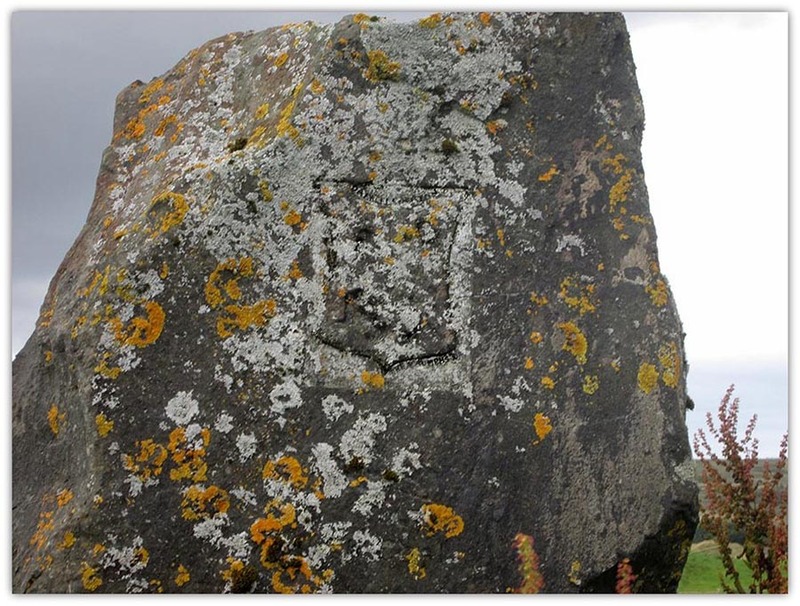 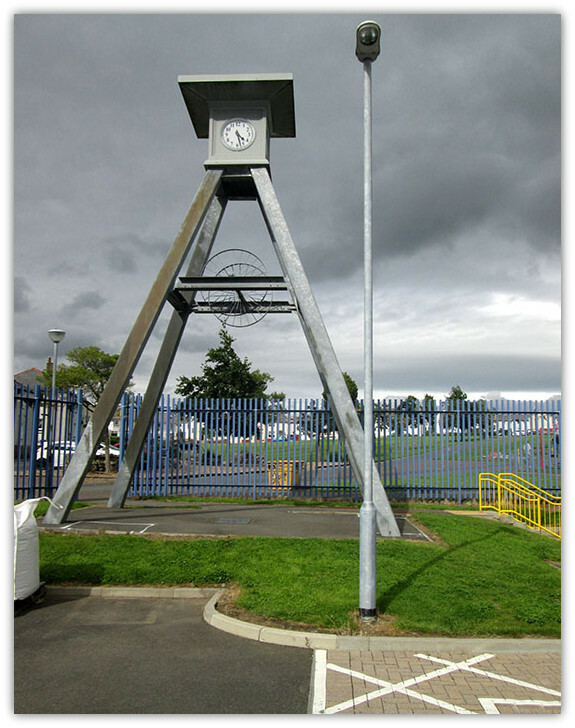 The history of the area is steeped in the mining tradition, and that is why the centre stone not only bears the Dalmellington Coat of Arms, but also The Eternal Flame ot the last great mining company to work the valley, Scottish Coal.